Persistent tooth pain, inflamed gums, and the feeling of pressure around a tooth are warning signs you might need a root canal. 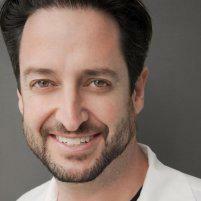 Dr. Jason Mirabile performs root canal procedures at his practice iHateTheDentist.com in Santa Monica, California, to preserve your teeth from further damage. Learn more about this procedure by contacting the office or requesting an appointment online. When the pulp inside the tooth has become infected or is compromised in some way, Dr. Mirabile needs to remove the infection and restore the tooth. The root canal helps protect your teeth by removing the nerve of the tooth. Dr. Mirabile performs a root canal to save your tooth from damage instead of extracting it completely. It’s a simple, in-office procedure that restores and strengthens with the help of a dental crown. What are the signs I need a root canal? Contrary to popular belief, the root canal procedure is fairly straightforward and relatively painless. Dr. Mirabile takes X-rays before numbing the area. He then drills a hole into the tooth and removes the damaged nerve and infected pulp using special instruments. He can then seal the tooth and place a temporary filling to prepare it for a crown placement. After he places the crown, the tooth is fully restored to its original condition. What causes infection to the tooth pulp? Tooth decay is one of the most common causes leading to a root canal. When the decay starts damaging the inside of the tooth, you experience severe pain and discomfort. Cracks or chips in the teeth or any type of infection can also cause infection to the pulp. Some health conditions and diseases can put you at risk for an infection that would require a root canal. How long can I postpone getting a root canal? Dr. Mirabile doesn’t recommend delaying root canal treatment. In most cases, he encourages you to get the treatment the very same day of your diagnosis. This is because the infection inside the tooth can grow and spread fairly quickly, which only increases the chances of tooth loss, more pain, and additional tooth damage. If you’re in need of a root canal, don’t put off treatment. Call iHateTheDentist.com or book an appointment online.